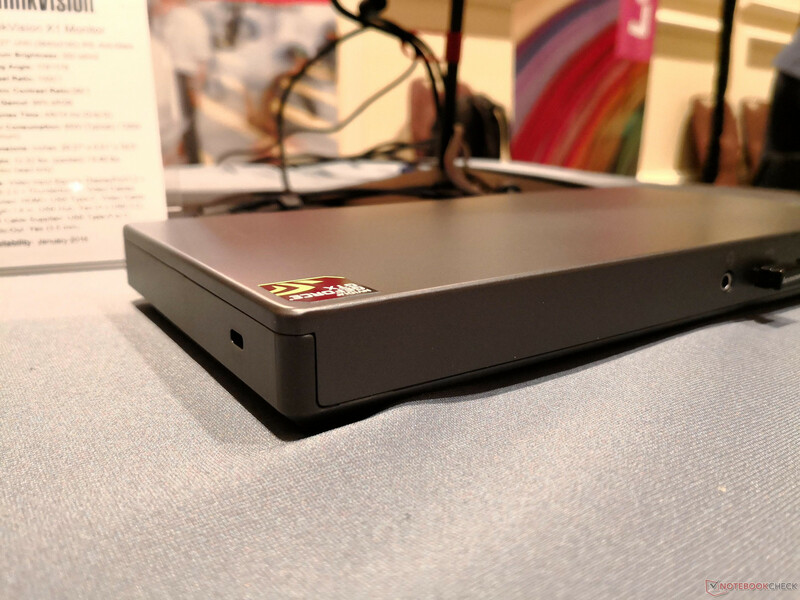 The docking station will turn your Ideapad into a decent gaming machine for about $400 USD. 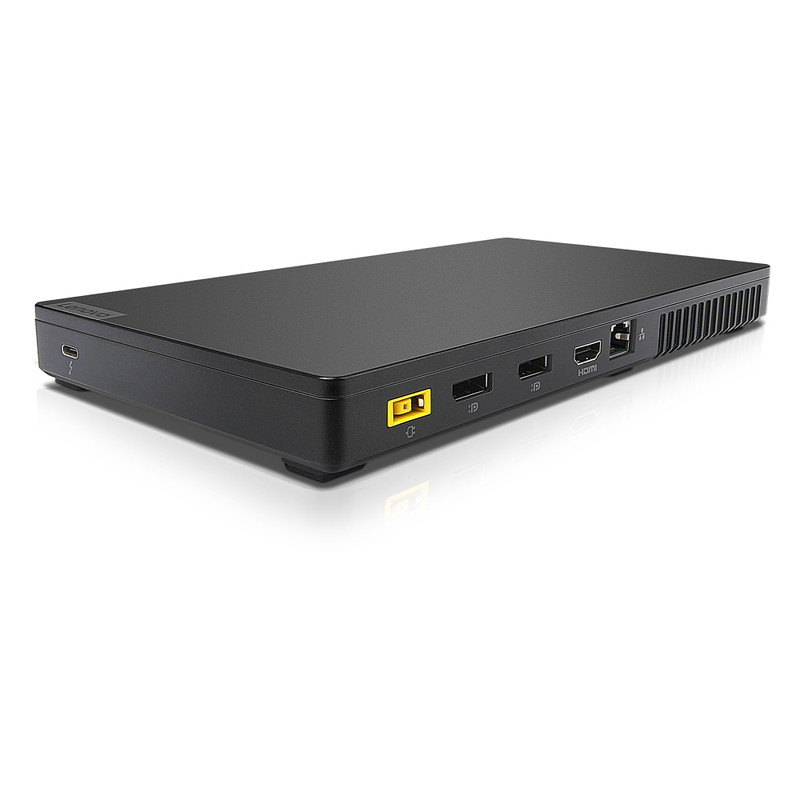 Most external graphics docks (eGPUs) are capable of housing desktop graphics cards of up to the GTX 1080. 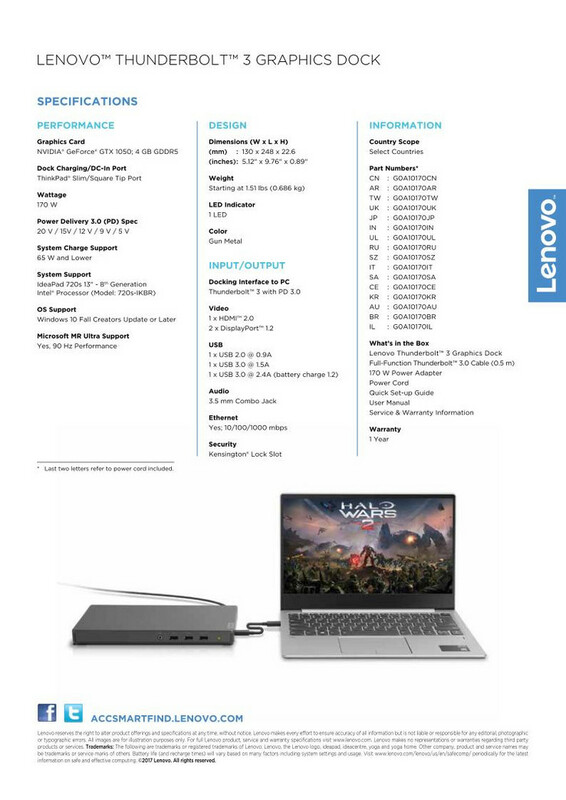 Instead of catering to enthusiast gamers in the high-end segment, Lenovo is leaning more towards a mainstream solution for a wider reach. 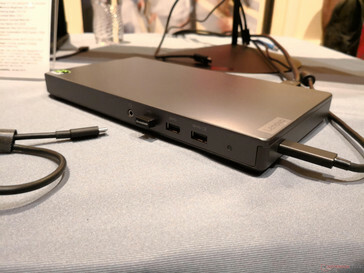 Unimaginatively called the Lenovo Thunderbolt 3 Graphics Dock, the small box promises to provide enough graphics power for running Windows Mixed Reality (WMR) at the required 90 Hz refresh rate. The new Lenovo solution echos that of the older 2016 Acer graphics dock that integrated a GeForce GTX 960M. 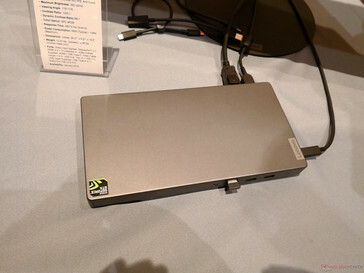 Unfortunately for said Acer docking station, its Kepler-based GPU launched only a few months ahead of Nvidia's mobile Pascal series and it was not widely available outside of Europe. 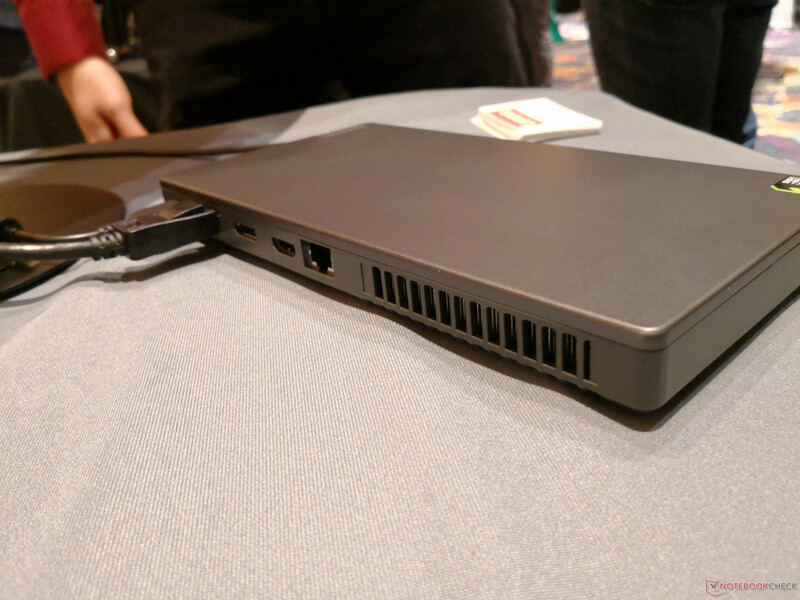 Nonetheless, the design, size, and even port selection between the Lenovo eGPU and Acer eGPU are indisputably similar. 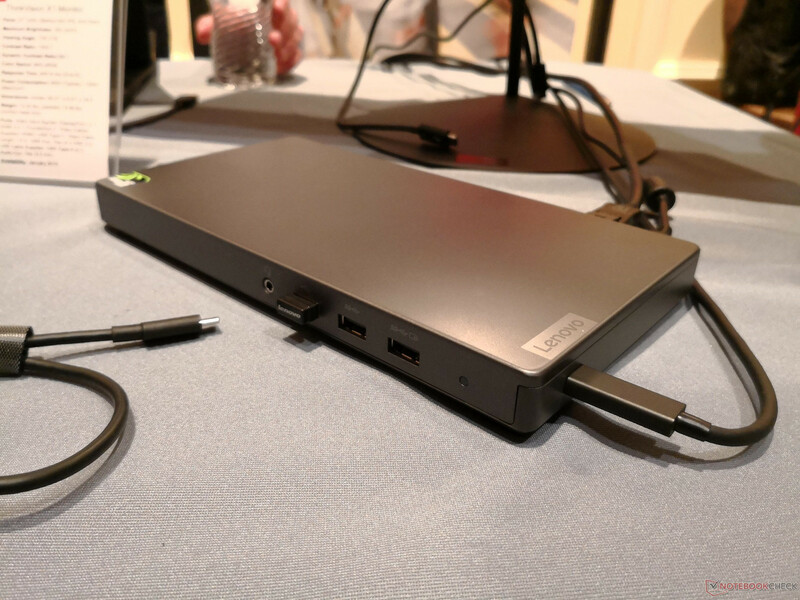 From our short time with the Lenovo dock, we can confirm that it is only designed to work on the 13-inch Ideapad 720S for now via a very short (~2 ft) Thunderbolt 3 cable. Connecting to ThinkPads and other notebooks may result in a blank screen. 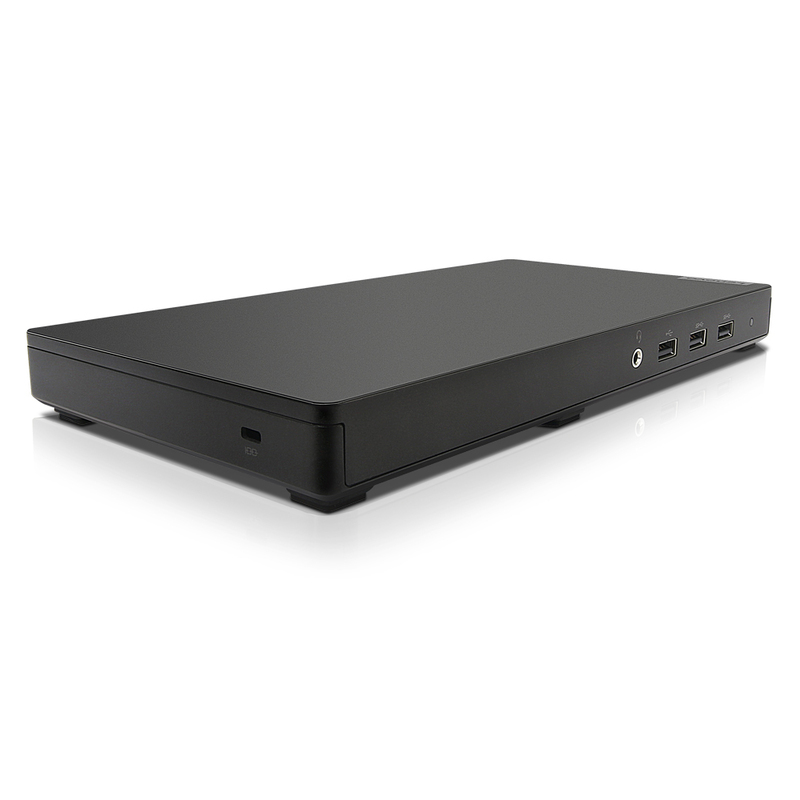 The dock requires its own external AC adapter and it integrates no storage drives or even a SD reader. A wireless charging feature would have been neat, but the top surface of the dock will become quite warm after prolong use. Fortunately, the dock will also double as a 65 W AC charger for the Ideapad 720S and Lenovo is hoping to expand its compatibility with more devices in the near future. The Lenovo Thunderbolt 3 Graphics Dock launches this month for $400 USD. See the official specifications sheet below for more technical information.